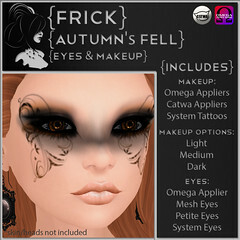 I’ve had several requests over the past to revamp some of my older stuff with appliers. So, since it’s time for my yearly return to SL I got cracking on a few things. 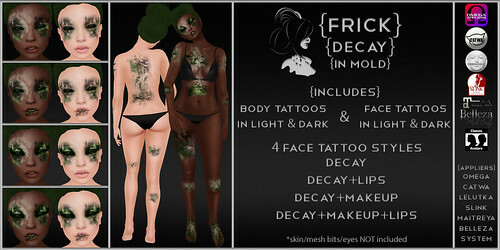 First up, Decay Tattoos! 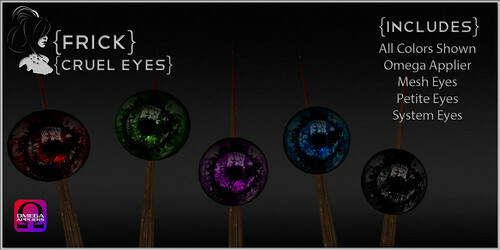 These were a beast to revamp but they always proved popular so here they are again. Body tattoos in light and dark. 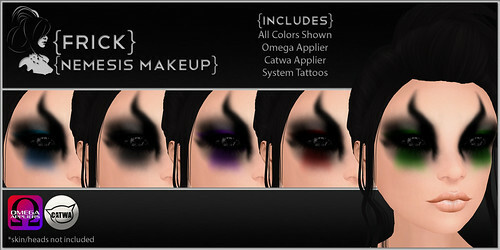 Four face tattoo styles also in light and dark. I wanted to make sure these would work on an array of skin tones. Available in Blood Red and Mold Green. Next up, Batty Stockings! 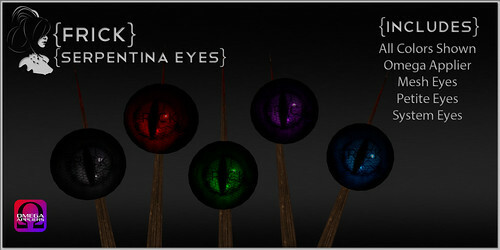 You may remember these from gachas past. The original ones were made back when SLink feet were the only mesh body part out there. 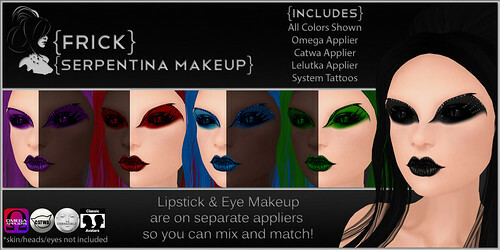 Now they’ve been revamped with Maitreya, Belleza, SLink and Omega appliers. And yay, no gacha rare hunting this time to get the color you want. 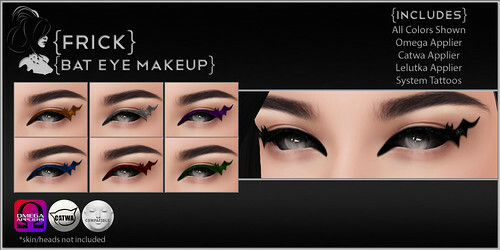 And last up, Serpentina Makeup and Eyes. 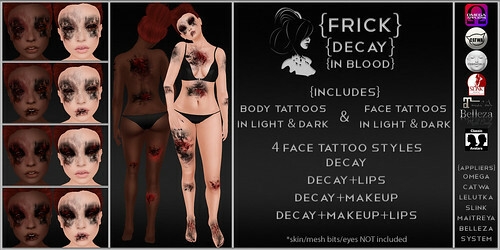 If you missed last year’s hunt, here’s your chance to get this set of makeup and eyes. If you bought these during last year’s hunt, you do not need to buy them again, they haven’t changed. 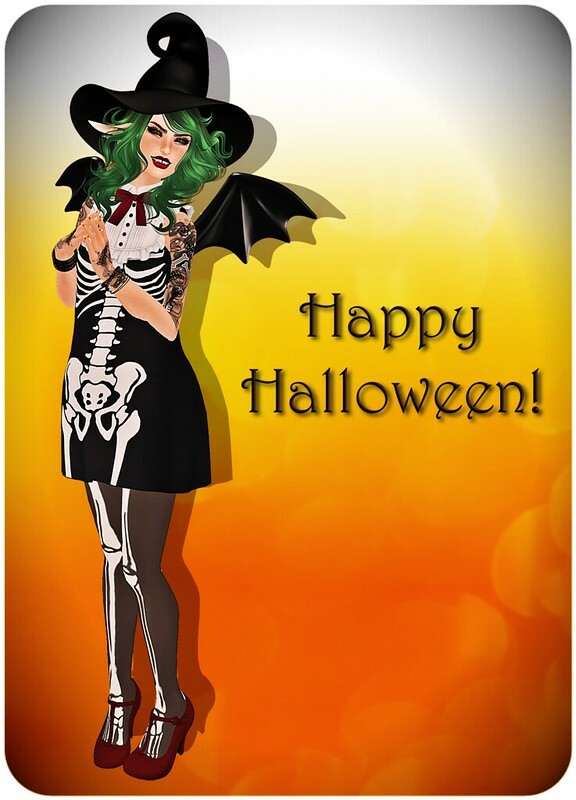 I had wanted to have my annual Halloween hunt ready to go by today but, due to a string of really super stressful events, I won’t. But I promise it is coming, hopefully by the end of the week. Until then, have a teaser.